What will my building cost? Will you do a Consultation? 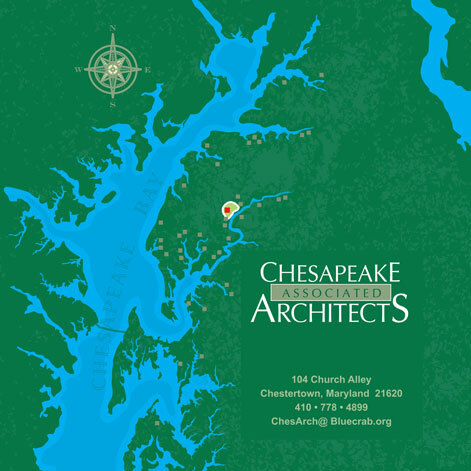 Is Chesapeake Architects a large firm? No, we are three experienced AIA Architects, one Intern, and an Office Manager. Our firm is set up so we can work closely with Owners to meet their individual needs. We are based in Chestertown, on Maryland's Eastern Shore. 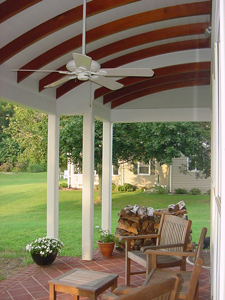 Most of our work is local (on the Upper Eastern Shore). Our strengths lie in our extensive experience planning structures to suit this particular environment (its water-oriented structures, Critical Areas zoning, flood risks, hot humid summers, and historic contexts). We have a deep love for the subtle beauty of our rural landscape and our small towns. We have long-term relations with local artisans, craftsmen and builders. It is not that we are adverse to working with others or elsewhere. For example, one couple recently asked us to design a small Earth-Sheltered Dwelling in California. This makes sense because we have years of experience with these particular owners, and we bring relevant energy expertise to the table. Before we go too far afield though, we always want to ask, how can this good for the Owner? Local knowledge of the environment (nature, regulations, etc.) and local teammates are hard to beat. Two crucial questions to ask, and yes to both. Although Maryland law requires all practitioners of architecture to 1) get an accredited education, 2) complete a documented apprenticeship, 3) pass design and structure exams, and 4) secure a license - the field of architecture is very poorly policed. Clearly against the law, quite a few unqualified persons misrepresent themselves as "architects". Most don't carry Errors and Omissions insurance, so, it's "Caveat Emptor" for the public - especially, given how much more likely it is, an under-qualified person will seriously error. 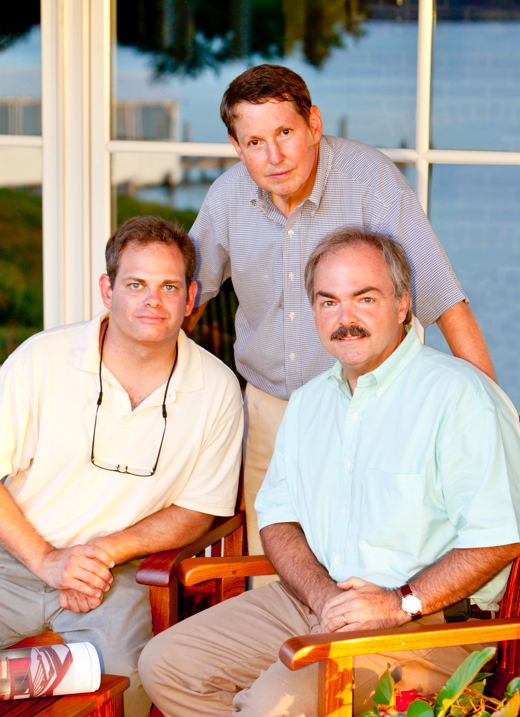 Peter, Max and John are all experienced practitioners, and licensed, having completed architecture school, internships, and passed all nine architecture exams some time ago. Moreover, they meet the American Institute of Architects' high standards for continuing education annually. Chesapeake Architects, is also duly licensed as an Architect Corporation, and of course, we carry professional liability insurance. After college, Peter Newlin worked construction, first as a welder in his father's custom fabrication shop, and then for many years in Chestertown, as a restoration carpenter. In the mid-1970s, Peter's love of historic buildings convinced him to pursue a Masters in Architecture at the University of Virginia. With that in hand, he began his apprenticeship in Annapolis with Jim Burch, the renown restoration architect, and master of contemporary design in historic contexts. 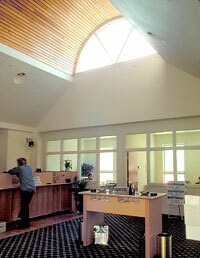 Peter started the Chestertown branch for Mr. Burch, and purchased that office in 1981. Peter is the builder of our 104 Church Alley Studio, and the designer of most of Chesapeake Architect's Award Winners, as well as numerous Chestertown landmarks, the Townhall, for instance, and the Chester River Pavilion. In 1996 the American Institute of Architects honored Peter's achievements with its silver medal, and the title "FAIA". A craftsman at heart, Peter and his wife are currently "Reviving" Pear Tree Point, their own house, two miles up river from Chestertown. It seems in life, none of us get very far from where we start. Peter remains, by love and necessity, a finish carpenter. Max Ruehrmund grew up half and half in Dover, Delaware and Rock Hall, Md. Max first studied engineering and then switched to architecture, receiving his BS in architecture from Miami University. 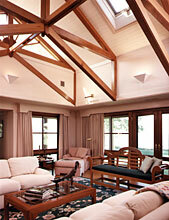 Max worked in Florida for a decade for architects specializing in custom houses. Then he worked another decade for an Annapolis firm, designing large commercial buildings. In mid 1990s he came home to join Peter on the Eastern Shore. Since then Max has undertaken most of our firm's commercial architecture, including Deep Landing Workshop, The Old Wharf Inn (now Fish Whistle restaurant), Rock Hall's Fire & Rescue Building and the town houses at Scott's Point, although much of his work is also residential. John Hutchison grew up sailing on the Chesapeake. His family kept their boat on Swan Creek in Rock Hall until they purchased a historic farmhouse on the Wye River. As a teenager, John worked four summers as a waterman, and during college, for an Environmental Construction firm, doing shoreline preservation. John graduated from Easton High School, and later, from Temple University in Philadelphia with a professional degree in Architecture. During the five years of his apprenticeship, John worked with Peter Newlin of Chesapeake Architects, mostly on residential projects such as the Restoration and River Room Addition to a house in Chestertown's Historic District, the Deep Landing-Curves House, and the Langford Creek House. All three are Award Winners. In 2000, John moved back to Philadelphia to work on larger commercial and education projects. 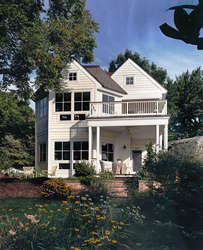 When licensed, John established his own architecture firm near Princeton, NJ. In 7 short years John assembled his own portfolio of residential renovations, additions and historic preservation projects. When the recession hit, John took the opportunity to come home to the Eastern Shore he loves. Chesapeake Architects is mighty happy to have him back! Our Office Manager, Annette Reinacher, grew up in Shady Side (rural Anne Arundel County) on the western shore. She came to Eastern Shore as a teenager in 1979. She lives in Chestertown with her husband, teenage son (and mother nearby). Annette is a 1983 graduate of Queen Anne's County High School, where she studied business. Annette helps us keep Chesapeake Architects efficient. Darren Johnson is a native of nearby Rock Hall, Md. The GI Bill helped him be the first of his family to go to college. Darren graduated in 1998 from the University of Maryland's School of Architecture. He worked for an engineer for a few years, before joining Chesapeake Architects in the Spring of 2000. Darren works collaboratively with Peter, John and Max. One of the Architects, Peter, John or Max, works directly with the Owner(s) through all of the planning phases, from the creation of the initial design strategy through to the completion of construction. That guarantees your plans are being developed by the person you know, an AIA Architect with lots of construction experience, who can advise you about the costs and benefits of the alternatives you will want to consider. Our Intern and Office Manager are here to help produce routine documents, when that is more cost effective. Of course, that depends upon its size, complexity and the kinds of systems and finishes you want. For example, we tell people who are interested in building a new custom house, they can anticipate the construction could run $200 per square foot of heated floor area (not including sitework, furnishings or design fees) but it's easy to make choices that drive the costs $50 or more up from that. It is also possible to cut costs to the bone by disciplined design strategies such as we used for the Aerie house or Deep Landing Workshop. On the other hand, construction cost increases commensurately with design complexity, such as with the Deep Landing - Curves or the multiple structures at Tolchester Beach and Winding Creek. Most projects are somewhere in the middle. Costs are driven by the Owner's decisions regarding the benefits of specific options. Our job is to help the Owners understand the hierarchy of choices so they can make their decisions in the proper sequence to manage costs - the "big picture" decisions first, and then progressively smaller. That way we help Owners to steer the project toward an outcome that satisfies them the most, given their budget and objectives. Obviously, that depends on what you ask us to do. There are rules of thumb. For example, if you ask an Architect to design a custom house, and include preparing detailed construction drawings, working with the builder during pricing, and overseeing the construction, then the architect's fee usually totals about 15% of the construction cost. Roughly a third of that is for the design effort, and another third for the construction drawings. The rest is working with the contractor. Of course, the Owner can manage the construction if he has the time, is close enough to the site, and sufficiently knowledgeable. Even so, it might be prudent to have the Architect on call. Renovations are typically more expensive and commercial work considerably less - rules of thumb. We'll work with Owners any way that leads to sensible results. Based on our understanding of the site and the Owner's goals, we first prepare floor plan sketches. When we have one or two that seem to be working we discuss these with the Owner. Their input leads to changes, and sometimes to an entirely different approach. When the Owner is satisfied with the basic strategy (aka Schematic Design) we can start developing the exterior appearance, the interiors, the structural system, the heating ducts, etc. All of these need to work together. and so during this Design Development phase we are creating the integrated whole. When the Owner is satisfied with that we are about a little more than a third through full services. Occasionally Owner asks us to stop there, but most want us to produce Construction Drawings, which show how the structure is built, specify its materials and serve as the muscle of the contract the Owner has with Builder. Detailed Construction Documents are another "fat" third of full services. The remaining "thin" third is helping the Owner get the project properly permitted and priced (the Bidding & Negotiation Phase), and then, checking on the progress of construction (the Construction Administration Phase). Some projects warrant additional planning steps, measuring an existing building, for example. Simple projects may warrant a lot less. It all depends on the Owner's budget and objectives. After meeting with the Owner(s), we typically prepare a "Project Description & Services " letter. In it, we carefully outline the Owner's project objectives. Based on these objectives and what we have seen the site, we provide a rough estimate of the Construction Costs we can foresee. Then we outline a Planning Process tailored to achieve the Owner's objectives and desired scope of construction. With that process and scope in mind, we estimate what our planning efforts are likely to cost. Typically, we propose to work an hourly-plus-expenses basis, adjusting the extent of our efforts to suit the Owner's desires as they evolve. We put all of this in a "Project Description" letter before we start. The Owners remain free to decide at each juncture how much planning they want. Working this way, allows us to stay focused on achieving the Owner's goals. Of course, that depends on its size and complexity, and also whether you are willing to start construction before the drawings can be finished for final pricing. We suggest, for example, that a person who wants a carefully designed custom house allow a year for the planning and a year for construction. This is a generous schedule, with lots of time allowed for the Owner to mull over decisions, time for permit snags, time for proper pricing, and time for construction delays - bad weather, for example. Commercial projects are often less complex, and so can be completed more quickly. Even so, rushing the planning can lead to expensive reversals. Unless there's some unusual urgency, we strongly recommend: Start with a generous planning-and-construction schedule. Are you willing to take on small projects? Consultations? Sure! We are in a people-helping business. Chesapeake Architects routinely plans small projects, for example, additions and renovations where the Owner thinks creative design will make a difference. We also often meet with people who aren't sure whether they want to work with an architect. If the project involves an existing structure we usually suggest an initial meeting at the site, We want to see what exists there and to hear the Owner needs, hopes and ideas. Then we give feedback about any design opportunities we see, permitting problems, and how much we guess the project might cost. A conversation such as this typically lasts at least two hours. We charge a flat fee of $175, assuming the property is nearby. We will need to hear about any new facilities you want, what impressions you want people to have as they approach, what atmosphere inside, and how you feel about the site. Most probably we should walk the site together. That will allow us (Owner and Architect) to share insights and brainstorm possibilities. Once we have a good feel for your aspirations, we can draft a Project Description & Services letter. In it, we will summarize our understanding of your objectives, and based on them, prepare a "ballpark" estimate of the foreseeable construction costs, propose an appropriate planning process, and outline a reasonable planning and construction schedule - all of this tailored to meet your goals. It takes almost a full day to produce such a Project Description, so we bill for that effort if you decide to proceed. Usually Owners take some time to review such a letter. We want it to stimulate your thinking about the whole of what you want (outcome and costs). Our Project Descriptions often leads Owners to make changes. That's good because we look to this letter and the input it solicits when coming up with our initial designs. The Project Description Letter gets us all started. "Achieving Value" and "Why Design in 3D" and "Teammates to Trust".